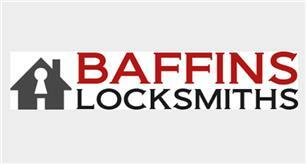 Baffins Locksmiths - Locksmith based in Portsmouth, Hampshire. Hi all, my name is Danny. I've specialised as a locksmith for over 12 years, & have 45 years experience as a carpenter/joiner so you can be assured of the best quality of workmanship. I specialise in fitting locks of all types, ie all types of u.p.v.c locks and mechanisms, window locks and handles, locks,deadlocks,sash locks, mortice locks etc etc. I can also repair windows & doors.